Homeopathy is a comprehensive medical therapy that was developed in Germany in the early 19th Century that rapidly grew in popularity due to its outstanding success. By the beginning of the 20th Century there were more doctors practicing Homeopathic Medicine in the USA than any other form of medicine. Today it is the second most widely used form of medicine around the world. Click here to watch a video and find out what it is like to visit a Homeopath. Homeopathy was pioneered through empirical investigations by a distinguished German Medical Doctor, Chemist and Linguist, Dr Samuel Hahnemann. It became a complete medical science by 1833 that is able to treat all your healthcare needs from conception to old age, which has stood the test of time. Homeopathic doctors in South Africa are clinically trained diagnosticians. They concentrate on individualised care of the whole person by applying specialised natural medicines that stimulate the body’s own healing and repair mechanisms to gently and effectively restore health. With extensive research and clinical backing, Homeopathy is growing in the field of healthcare in South Africa and around the world. Through this foundation a Homeopath can offer you the best alternative healthcare available. This general family practice – located close to Cavendish Square in Claremont – has been operating from Cape Town for the past 40 years. We offer safe, effective, Homeopathic treatment for a broad range of conditions affecting infants, children, adults (including pregnant and breastfeeding women) and the elderly. Homeopathic medicine can effectively treat a broad range of ailments in both the acute phase of illness and those of long standing chronic conditions. This is enhanced by the safety of our medicines used. The Medicines do not have many of the side effects of conventional drug treatment. Together with a scope of treatment effectively incorporating musculoskeletal, neurological, respiratory, gastric and renal disorders; male & female infertility; bacterial and viral infections, autoimmune conditions, together with anxiety, stress, depression and many others. 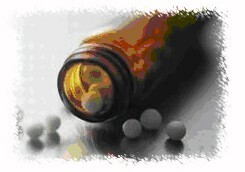 Homeopathy also provides a holistic approach to maintaining health and well-being. Ever considered Homeopathy as an option for your comprehensive healthcare needs? Take a moment to read about how the natural remedies used in Homeopathic medicine can be used safely and effectively for you and your family. Or if you have any questions feel free to contact me or make an appointment by clicking the link below.